This graph, with data from the United States Federal Reserve, shows the total Credit Market Debt Owed. 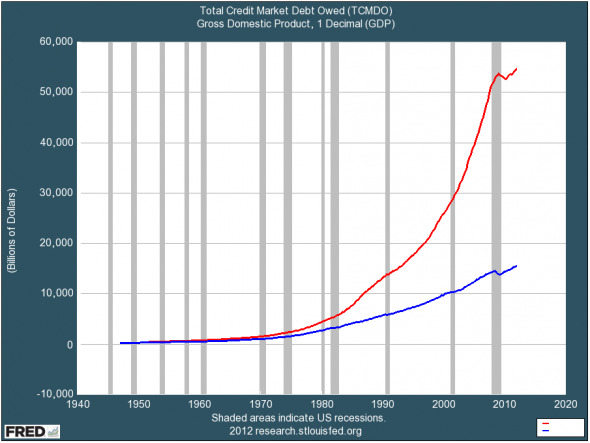 In other words, this is the total debt outstanding in the United States. That includes both public and private debt, with private debt consisting of households, financial companies and non-financial companies. You can see that since the 1970s the growth of total debt (red line) started to exceed the growth in the national income. Now total market debt is about four times as high as the national income (GDP).